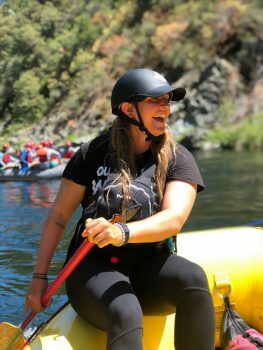 Join OARS for a classic California whitewater rafting adventure on the American River near Sacramento and Lake Tahoe, the Merced or Tuolumne River near Yosemite, or the legendary Stanislaus River into Big Trees State Park. Hike the wilds of Yosemite National Park with our naturalist hiking guides or consider a family vacation on Northern California’s family-friendly Lower Klamath River. 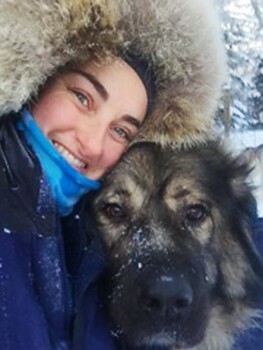 OARS has been providing first-class California whitewater rafting and adventure travel vacations for more than 45 years. 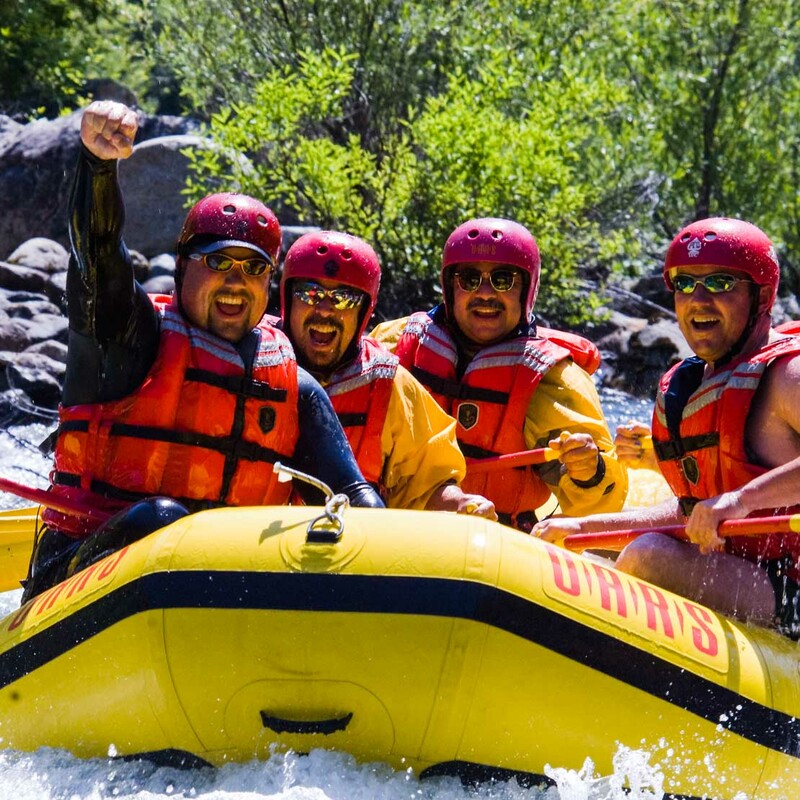 We know how to create the magic on a classic California river rafting trip—stunning western scenery, exciting whitewater rapids, top-notch equipment, great food, and captivating companionship. 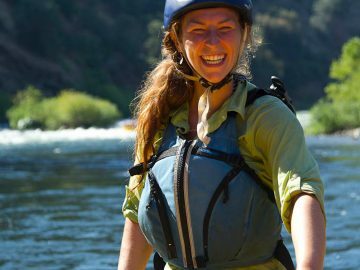 We provide rafting trips on six Northern California rivers, rated Class II-IV+; and whether you are a beginner or an expert, we have a California rafting trip to suit your thirst for adventure. 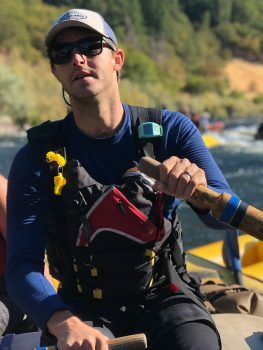 Our elite crew of professional and enthusiastic California river rafting guides will carefully guide you down these scenic rivers for the adventure of a lifetime. 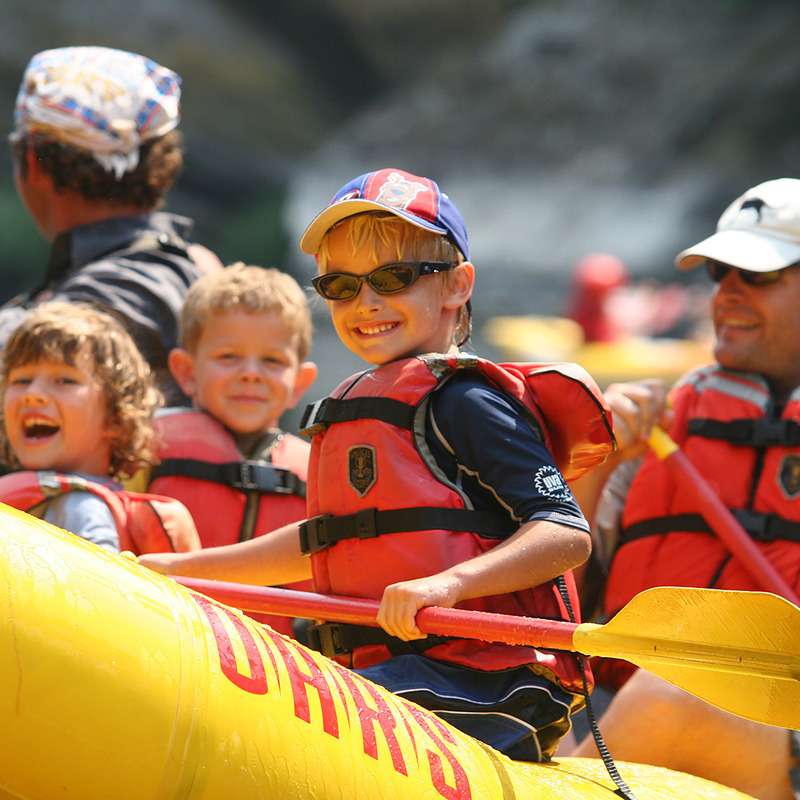 The majority of OARS California whitewater rafting and hiking adventures are within a half-day’s journey from San Jose and the San Francisco Bay Area, Lake Tahoe, Napa Valley and Yosemite National Park. OARS California rafting trips run March through September, offering you a plethora of rafting trip options whether you are looking for a family vacation in California, a mid-week escape from work, a weekend reprieve from the summer heat, a creative and unique idea for a bachelor or bachelorette party or just an excuse to brag amongst your friends at the water cooler! 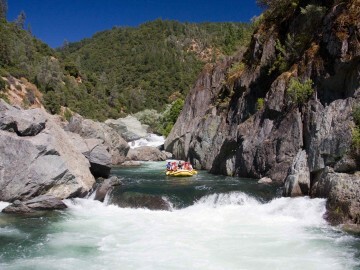 Rafting on the South Fork of the American River near Sacramento offers classic California whitewater: crisp, clear, refreshing water flowing over spectacular granite rocks and boulders. 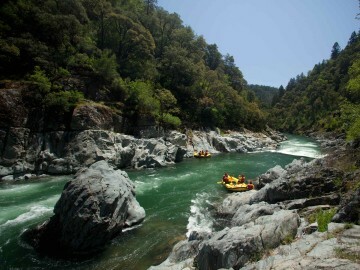 The South Fork of the American River in California provides an ideal balance of adrenaline and fun for families with kids as young as seven. 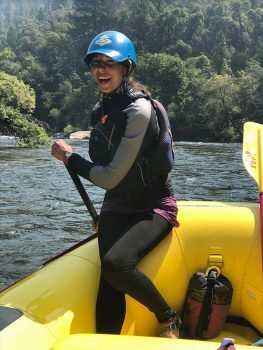 We offer half-day American River rafting on the South Fork of the American River, full-day trips with lunch and wildly fun two-day American River rafting adventures from April – September. 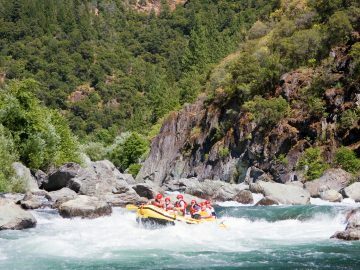 Whitewater rafting on the Middle Fork of the American River offers what will surely be the most memorable rapid of your life: Tunnel Chute. This exciting rapid drops through a steep chute into frothy, churning water, after which it passes through a 90-ft long tunnel. 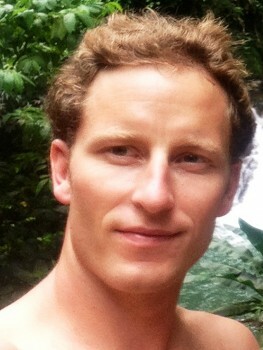 And that’s just one of six Class IV rapids on the Middle Fork American. 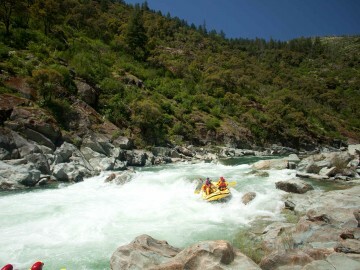 Join us for a spectacular one-day Middle Fork American River rafting adventure. The Tuolumne River is the crown jewel of California whitewater rafting trips; it’s less than four hours from the San Francisco Bay Area and minutes from the northern entrance to Yosemite National Park. The Tuolumne cascades through a spectacular Wild and Scenic river canyon offering a true outdoor adventure experience. Our Tuolumne River rafting trips are ideal for first-time campers, as we typically stop for the night at cozy riverside locations. 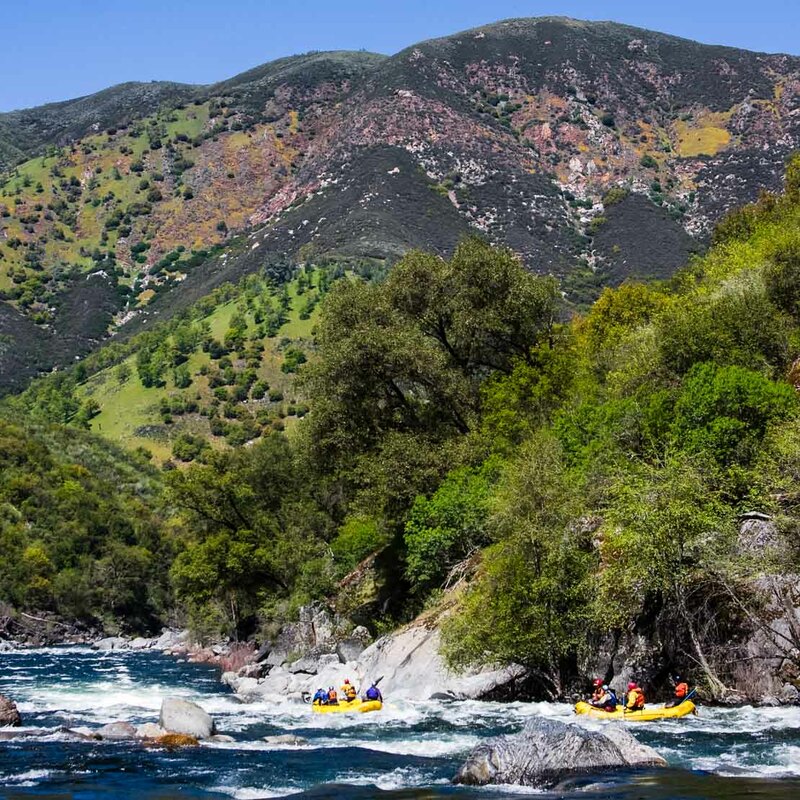 We offer one-day Tuolumne rafting options for those who don’t care to camp, as well as two- and three-day trips from March through early September. 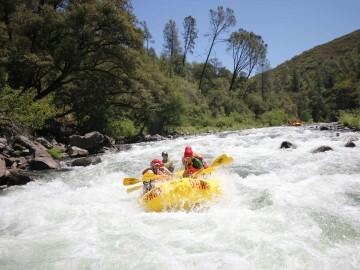 Tuolumne River rafting trips are rated Class IV, with one or two rapids reaching Class V during spring runoff periods. 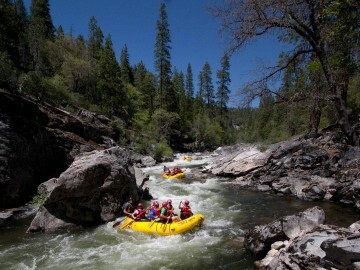 California rafting on the Merced River is a must-do if you plan to visit Yosemite in spring or early summer. The Wild and Scenic Merced River is located alongside Highway 140 near Yosemite National Park’s Arch Rock Entrance. The Merced’s whitewater is famous for its fun rollercoaster wave trains and spring wildflowers. 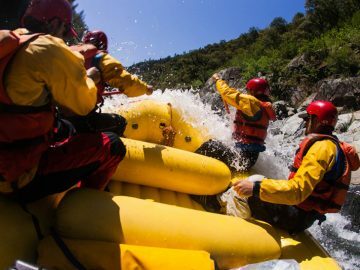 We offer a one-day Merced River rafting adventure from April – June/July with rapids rated Class III-IV with some Merced rapids reaching Class V during spring runoff periods. 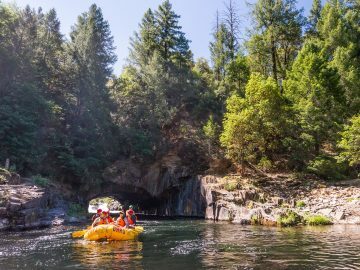 Rafting the Wild and Scenic Lower Klamath River in Northern California near the Oregon border is the perfect family rafting adventure for those with young children. The Klamath River has fun, bouncy rapids, warm swimming holes, diverse wildlife and a range of recreational opportunities. This river is also an ideal place to learn how to use an inflatable kayak. 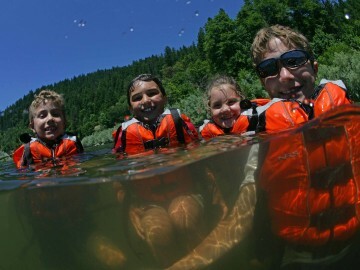 We offer a 3-day Lower Klamath Rafting trip (Class II) which your kids will just rave about! The Class IV North Fork of the American River is located near Auburn, just off Interstate 80. This section of the American River offers aquamarine waters, towering rock walls, spectacular displays of spring wildflowers and some of the most challenging whitewater rapids in the American River system. 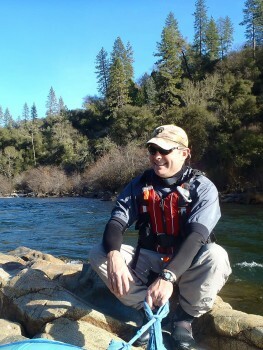 We offer a 1-day North Fork American River trip between April and June during the spring runoff. 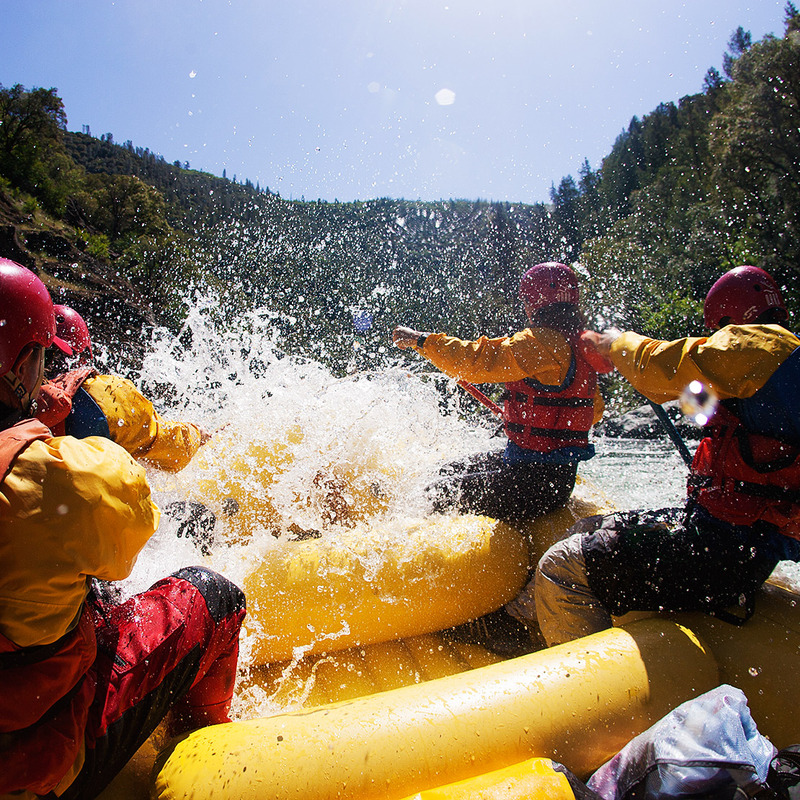 Think you’re ready for big-time river rafting in California? Test your fear-factor-fortitude on the North Fork Stanislaus River, where you will paddle through some of the most technical Class IV, boulder-strewn rapids in California. The Stanislaus River in the High Sierra flows through the Giant Sequoia trees of Calaveras Big Trees State Park, and is just down the hill from Bear Valley Mountain Resort. 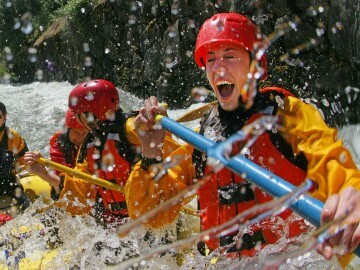 This unique Class IV+ 1-day rafting trip will give you an adrenaline surge like none other! 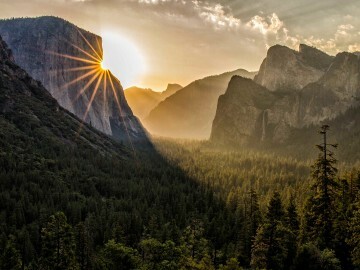 The soaring granite cliffs, countless free-falling waterfalls and giant sequoia groves of Yosemite National Park, beckon travelers to the heart of the Sierra Nevada Range in this UNESCO World Heritage Site. 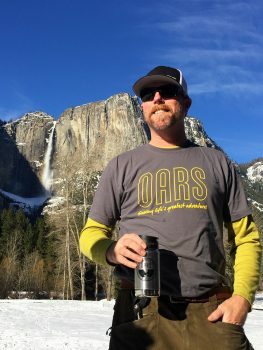 OARS offers a uniquely active California hiking and rafting adventure in Yosemite. 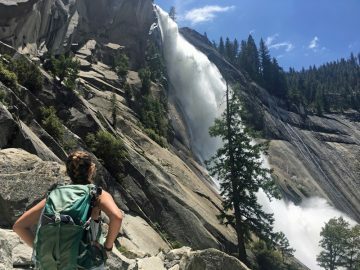 Hike with naturalist guides amongst some of the largest living organisms on the planet near Yosemite Falls and Cloud’s Rest, to view the West’s most iconic rock formation on our Yosemite & Tuolumne River Hiker. 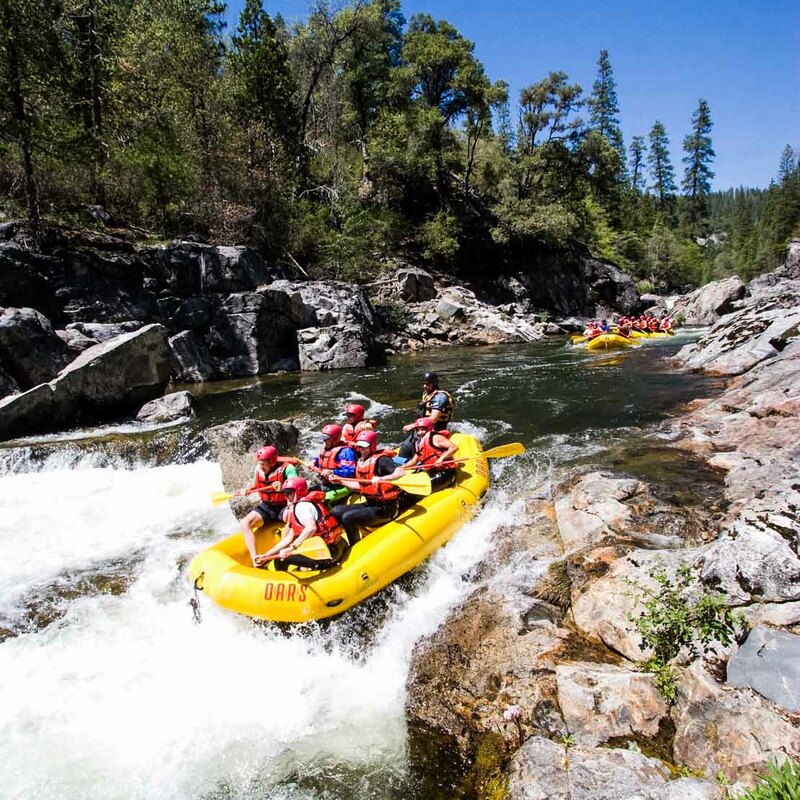 Top it all off with two days of Class IV rafting on the world-class whitewater of the Tuolumne River, and you have the quintessential California adventure vacation. Ready to book your next adventure? 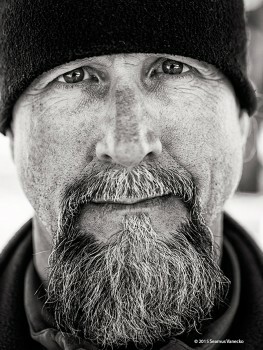 Our friendly and experienced Adventure Consultants can help you find your ideal California rafting adventure. Call 1-800-346-6277 today to discuss your options. 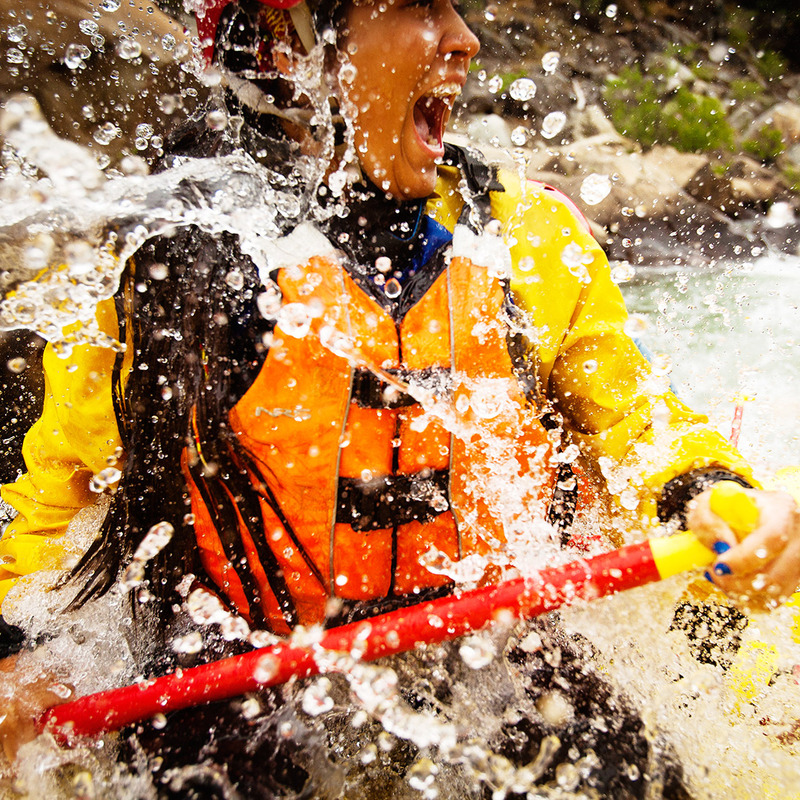 Why choose OARS for your California whitewater rafting adventure? 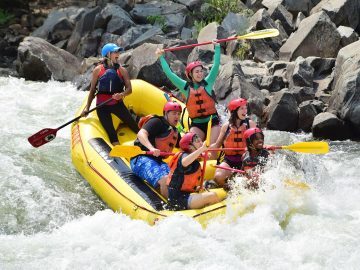 Our California whitewater rafting and hiking adventures include more than a dozen unique itineraries on six different California rivers from March through September. 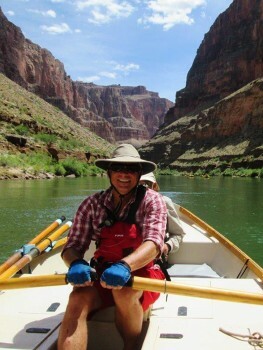 OARS offers a variety of options from an easy half-day float to a six-day California rafting and hiking vacation. Since 1969, OARS has guided more than 500,000 guests on rivers and coastlines throughout California, the Western U.S., and worldwide. In the 45+ years OARS has been in business, sure, we’ve learned a few things about operating fun and hassle-free trips for our guests. 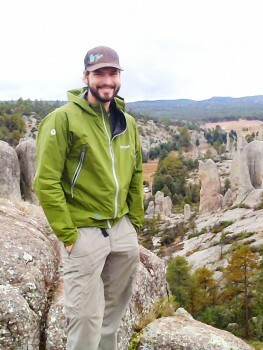 But the real magic happens because of the extraordinary guides you’ll find working on your trip. We are proud to have earned the reputation for having the most-experienced, professional and customer-focused crews on the water. 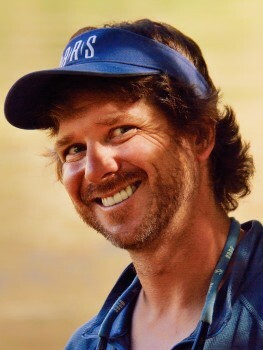 No other company’s guides do as much as ours to ensure you’re having the trip of a lifetime. 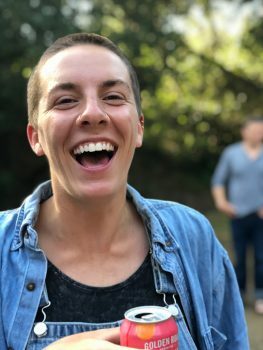 and their friendly, outgoing personalities will ensure you have an unforgettable California whitewater rafting trip no matter which OARS adventure you choose. 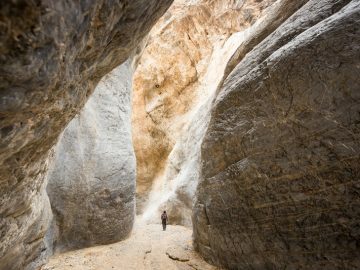 These multi-faceted folks live and play in the Sierra Nevada year-round and love sharing places that are off the beaten path and away from the crowds. 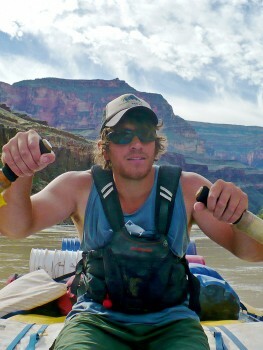 Join us on an OARS California rafting adventure this summer!